Social Workers are employed in areas such as acute care, long-term care, child and family services, financial assistance/disability support, community mental health and addictions, justice, education, staffing and classification, and the federal government. They also work for non-governmental organizations such as the Catholic Family Services Bureau, and in private practice. There are currently about 328 Registered Social Workers on PEI and about 51 are registered as working in private practice on PEI. The provincial government is the largest employer. At least five years of post-secondary education are needed to become a Social Worker at the Masters level. Students can also complete a course of studies leading to a Bachelor of Social Work. Social Work programs are offered at a number of institutions in Atlantic Canada. Kendra Burdett is a Youth Mental Health Therapist at the Strength Program in Summerside. The Strength program is an addiction and mental health program for youth ages 15 to 24 from all over PEI. It is an intensive 12 to 16-week treatment process. Kendra earned a Masters in Social Work at the University of British Columbia in Kelowna. She grew up in New Brunswick, and her parents are both from PEI. From the age of 14, much of her summer employment was on PEI. Kendra’s undergraduate degree is a Bachelor of Arts with majors in both Human Rights and Political Science at St. Thomas University. After graduation, she participated in national service-learning programs and worked with the Katimavik program, which develops diverse youth into engaged, caring citizens and capable contributors and leaders. “During my undergraduate degree, my studies largely focused on international human rights issues, and I often pictured myself working overseas. After graduation, I participated in exchange programs and other youth programs (Canada World Youth, Odyssey, The Otesha Project) and began volunteering with community and advocacy groups. Over time, I became more local in my focus. I came to understand that building a more equitable world means building more equitable communities, and that I could participate in this process from any community. Kendra says that working with the Strength program in Summerside provides her with the opportunities she was looking for in this profession. “The work here at the Strength program feels meaningful and offers great variety; working with clients one-on-one and in groups, working with the clinical and youth worker team, working with clients’ families and with our partners in the community. I especially value our work as a team. It helps us be more creative in our plans and share the responsibility for the work we do with each client. “In this setting, I am fortunate to be able to connect with clients every day, including when they’re eating meals, at morning check-ins, and in groups. Interacting with the youth clients so frequently gives me much more information about their strengths and their concerns than I might have in an outpatient setting. “At Strength, we place a strong emphasis on the skills that are part of Dialectical Behavior Therapy: skills for emotion regulation, distress tolerance, interpersonal effectiveness and mindfulness. Living on site gives clients daily opportunities to practice these skills and gives staff daily opportunities to coach clients in using these skills. It is one thing to learn a skill in a group. It is another thing entirely to practice the skill in the moment. The opportunity to work with clients ‘in the moment’ is a great advantage in this setting. Kendra acknowledges that the program is not always what every client is looking for or even what every client needs at a particular time. “We do our best to work with clients and tailor treatment to their personal goals, but this still needs to happen within the set structure of the program itself. “Individuals benefit from having a range of services, and it is important that we work with our community partners to build awareness of the services available. It is also important that we share with our community partners and program managers when we notice gaps in mental health and addictions services, so that we can continue to work to meet the needs of our clients. “Connecting clients with community housing, employment, and leisure programs while they are transitioning out of our program is crucial. Programs such as REACH, PropELLE, Trade HERisons, Housing Outreach, Career Bridges, Youth in Trades, CMHA’s Fitzroy Centre and Notre Dame Place, as well as Holland College GED and upgrading programs support our youth in transitioning effectively to life in their communities. The greater variety of programming, the greater chance of meeting the various needs and interests of our population. There are two Social Worker positions at the Strength program. One Social Worker was on maternity leave and that position was never filled due to the lack of applications. The position has been vacant for one year. Kendra says even though there is a demand for social workers on PEI and across the country, sometimes qualified applicants must work in a related field while building experience and/or waiting for a position to open up. 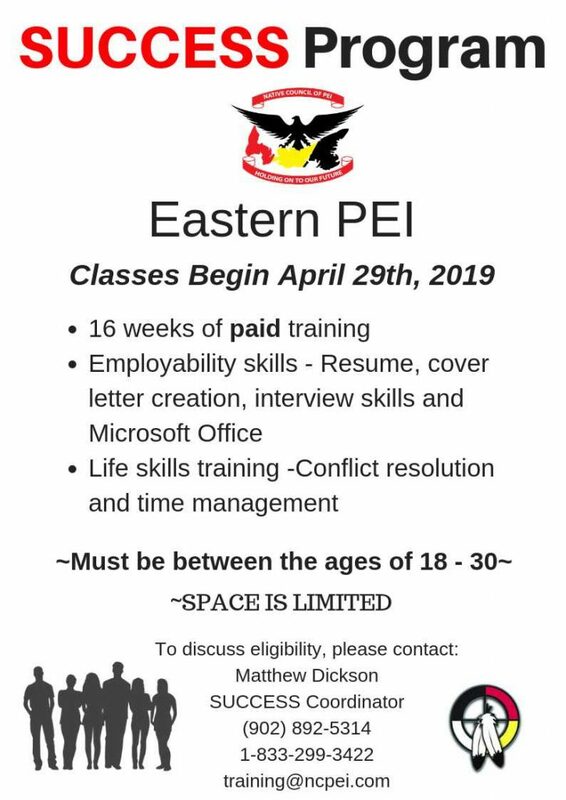 For more information, contact the PEI Association of Social Workers at 902-368-7337.